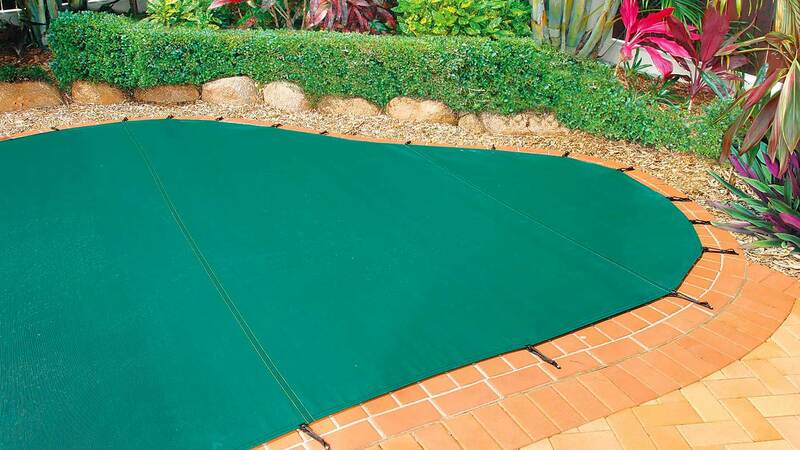 Keep out leaves and debris and reduce evaporation with this custom made super fine mesh fabric pool cover. Great for winter and pools with heavy leaf loads. Each cover is made with welded seams for a smooth finish and rope reinforced hem for strength. Usually easily handled by one person, a Pooltex™ leaf cover folds away in its own storage bag when not in use. All of our Pooltex Pool Covers carry an 8 Year Pro-rata Warranty.